The North Korean leader has watched top South Korean musicians performing for the first time in Pyongyang. It is the latest sign of easing tensions on the Korean peninsula following Kim's visit to Beijing last week. A 120-strong delegation of South Korean musicians and artists, including K-Pop singers Cho Yong Pil and Seohyun, performed in the North Korean capital Pyongyang on Sunday, in the presence of the isolated state's leader Kim Jong Un and his wife Ri Sol Ju. Kim clapped his hands as he watched the performance, the first by South Korean stars in 15 years, amid a thaw in relations with Seoul after years of tensions over the North's nuclear program. Among the acts on stage at the East Pyongyang Grand Theater was K-pop girl band Red Velvet — five South Korean pop industry it-girls who have taken Asia by storm. The two-hour concert was described by many as a cultural charm offensive by the South, and was triggered by the Pyeongchang Winter Olympics, to which the North sent athletes, cheerleaders and Kim's sister as an envoy. Sunday's gig ended with a standing ovation after a finale in which all the stars appeared on stage to sing a song about unification. 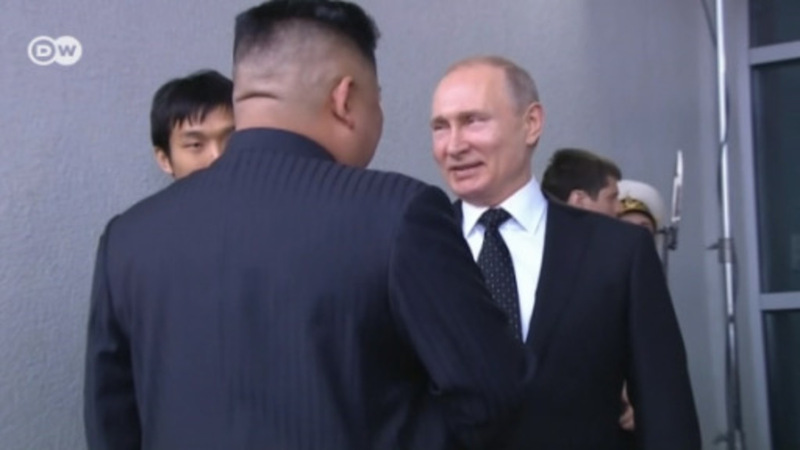 Kim later shook hands and took photos with the stars backstage, and called for inter-Korean cultural events to be held more often. The last time South Korea sent a musical artist to perform in the north was in 2005 — during a previous period of reconciliation — but it is the first time a North Korean leader has attended such an event. In a second concert by the K-pop stars on Tuesday, they will be joined on stage by several North Korean performers. Smuggled K-Pop music and South Korean TV dramas have become increasingly popular, despite the North's strict curbs on unauthorized foreign culture, which can lead to prison sentences. The concert is the latest evidence of easing tensions between Pyongyang, its neighbors and the US. Last week, Kim made his first overseas trip as leader to Beijing for talks with Chinese President Xi Jin Ping, ahead of an inter-Korean summit, slated for April 27. The possibility of the country's de-nuclearization was discussed. Kim is also expected to meet with US President Donald Trump before the end of May, and has pledged not to conduct any missile or nuclear tests in the lead-up to the meetings. Although 300,000 South Korean soldiers and 11,500 US troops are taking part in the drills, no US aircraft carriers or nuclear submarines were expected to join the drills, after Pyongyang angrily denounced the maneuvers in the past.